A dichotomous key is a tool used to identitify animals, plants and more by going through a series of choices that leads the user to the correct name of the item. At each step, the user is usually given two contrasting choices; each alternative leads to another question until the organism is identified. The word "Dichotomous" is taken from a Greek word and means "divided in two parts". 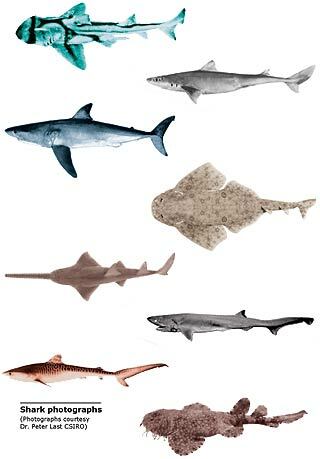 Figure 1 shows photographs of sharks belonging to 8 major Orders and Figure 2 shows the major features of sharks. On the following pages, move your mouse over each shark photograph for clues.